It has been a year since the alliance between Mahindra & Mahindra and Renault ended. And this time around, it is getting to come out with something new. But the question that experts and all related to industry are asking is whether it is going to be second time lucky. Sources close to the company have said that it is going to come out with a sports utility vehicle, Koleos by the end of October. But before that it is going to launch Fluence sedan in the country somewhere in May or June this year. The French carmaker, Renault has said that its Indian subsidiary will launch close to 5 models by 2013 for the consumer. Marc Nassif, Country Head, Renault India recently said that the company is looking at five new models in the Indian market between mid-2011 and mid-2013, including small cars in 2012. It is to be mentioned here that the company is planning to launch the Ultra low cost car with Bajaj by 2012. Nassif pointed out the fact that the work on that model is currently going on from the end of Bajaj and the company should be able to meet the deadline for the product. Logan sales on a high! Since the point of time M&M has purchased Renault's share in the M&M-Renault JV, the company has done everything possible in order to ensure that the sales numbers achieve the desired growth in the Indian market. It may easily be recalled that when the three-year-old joint venture between Indian auto major Mahindra & Mahindra (M&M ) and French carmaker Renault came to a dead-end, the future for the Logan was surely uncertain. However, with its aggressive sales push, M&M has been able to keep the product afloat in the domestic circuit. While the Bajaj Auto's new small car project that works in a joint venture with Nissan and Renault has been delayed for quite a few times in the domestic circuit, but perhaps the project is now on track. In fact, Rajiv Bajaj, the managing director of second-largest producer of two-wheelers in the Indian market recently said that the product will be rolled out of the Waluj plant and not from the initially expected Chakan unit. Under a major development in the strategies of the French auto major, Renault, Law & Kenneth has recently bagged its account for creative duties in the Indian market. Following a two-tier pitch, which had Saatchi & Saatchi, Publicis Ambience and Law & Kenneth as finalists, the auto major has recently zeroed in on Law & Kenneth as its partner for the creative duties in the domestic circuit. While the Bajaj-Renault-Nissan partnership has been official as all the parties have recently signed an agreement to develop a ultra-low-cost (ULC) car for the Indian market but it has been learned from the sources that it can also face a situation where the partners can even confine their relationship to sharing a platform which will produce vehicles for their exclusive needs. The booking of the Renault-Nissan Micra has started today. It has stated a mild marketing last month, but now the company has started its full force campaign. The Franco-Japanese joint venture, Renault Nissan Automotive India has announced that this car will be the major rival of Tata's “people's car”. So Tata Nano is having its competitor now. Apart from Nano, it can be a threat to Hyundai Motor's i10 and i20, and Ford India's Figo as well. The commercial production of the compact car Micra has been started. With an aim to cut costs, the French automaker Renault SA is planning to use Indian components at an extensive scale to bring in economies of scale at a larger level. In fact, the company will be sourcing Indian components worth 250 million euros ($320 million) of for use overseas in 2013, compared with 75 million euros this year, said Sudhir Rao, chief operating officer of the company's Indian unit. It may be noted here that the company sourced components worth 10 million euros in the last year. The French automaker is in talks with several Indian companies to finalise a local partner for its entry into the electric car market. Notably, Renault exited its JV with the Indian auto major Mahindra & Mahindra last month due to a poor response to the Logan in the domestic market. However, the company is now firming up plans to enter the electric car market and is in the process of finalising the partner. Sources confirm that the company has been talking to various auto companies including, possibly, the country's only electric car maker Reva. Often called as the "samurai" of the car industry, the "cost killer", and the "icebreaker", if the reappointment of Carlos Ghosn as the CEO of Renault looks more like a formality, one should looks at the challenges that are no less daunting. The appointment of Ghosn as the CEO for another four years at Renault is set to be public at the French car group's annual meeting on Friday afternoon. After Renault exited from the JV that it had with M&M for the Logan, the UV maker Mahindra & Mahindra has recently announced that the company will be cutting the price of the sedan by 24,000 to 80,000 rupees to provide better value for its customers. As per the market experts there won't be any immediate affect to the market due to the recent buy out in the joint venture of Mahindra Renault. The leading auto maker of India, Mahindra & Mahindra has purchased Renault's 49% of stake in the joint venture Mahindra Renault. 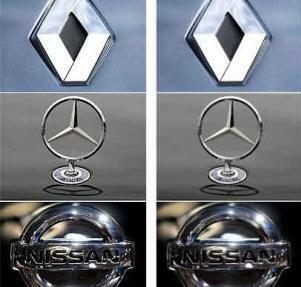 The Indian firm has managed to capture the famous brands of the French company Renault under its belt. India's leading auto maker Mahindra & Mahindra has decided to buy out Renault stake. The Indian firm has 49% of the stake in the joint venture with the French company Renault. The joint venture agreement was signed almost five years back. Both of them produce Logan and Nashil jointly. Renault has provided the license to the Indian firm to produce and market the Logan. It used to supply the key components of the automotive which also includes engine and transmission. Mahindra and Mahindra will export the Sedan to various overseas markets. After heated debates for the last couple of months, the two parties i. e. Mahindra and Mahindra and the French automaker Renault have finally announced the details of the restructured JV among the two parties. According to the details of the Framework Agreement, which was signed earlier this week by senior executives of both companies, M&M will now take charge as the leading partner in the JV with Renault continuing to provide supply of key components, including the engine and transmission. With the country's second-largest two-wheeler maker planning to launch four-wheels both in the passenger cars and the light CV category it is expected to leverage from the Renault platform for their production. Renault has proclaimed to launch the out of the box interior designs with its latest car Clio. As the company reports state, the new Renault Clio will sport all the latest car interiors. For instance, Renault for the very first time shall introduce the Swivel seat boasting of comfort. Catering to the needs of senior citizens customers, the swivel seat restricts one with limited mobility. After tasting rough waters with its French JV partner Renault in the Indian market, M&M may opt for freezing its investment in the JV going forward. Notably, the duo hasn't been able to do anything substantial with its product Logan in the Indian passenger car market. The no-frills sedan mainly failed to make an appropriate space for itself as its length of 4 metres incurs a factory gate duty of 20 %, making it expensive for its target segment.